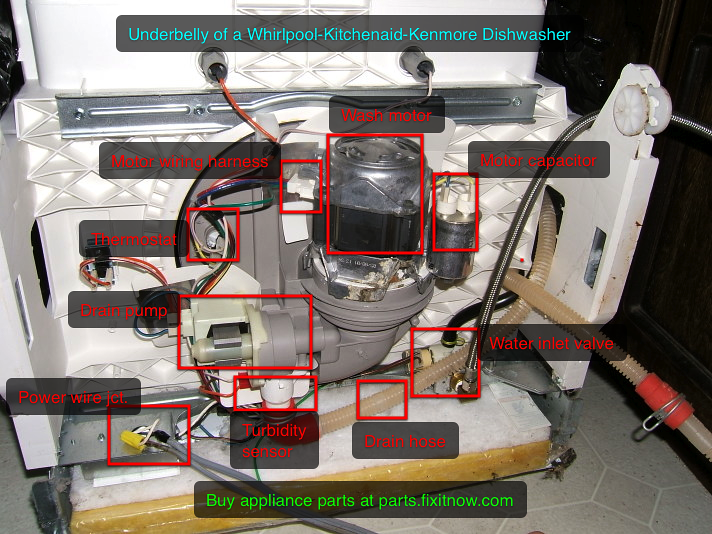 If you’re preparing for a repair on this dishwasher or doing some troubleshooting on one, this illustrated, annotated photo of the underside will help get you familiar with the terrain. Part link: New motor-pump assembly. This entry was posted in Dishwasher Repair on June 8, 2006 by Samurai Appliance Repair Man.